This site provides professional information such as my resume and academic information such as samples of project work and material from courses I've taught. 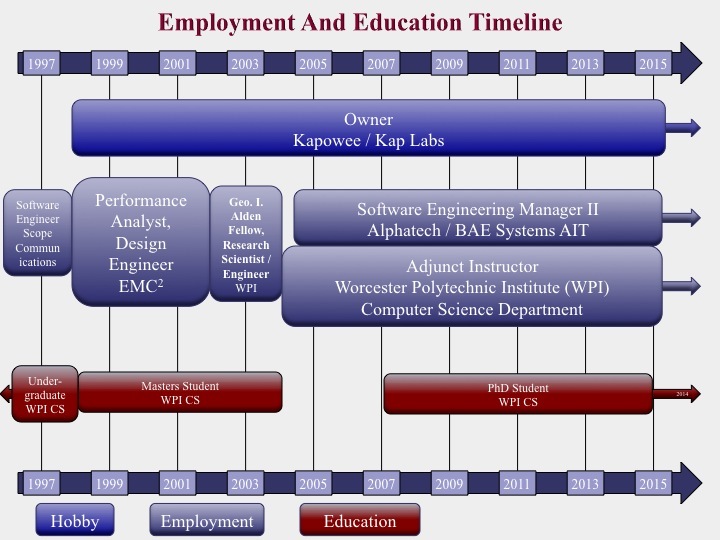 Below you will find diagrams of my Career, Education, and Software projects over the years. Here we see my employers, my educational pursuits and professionally related hobbies over time. 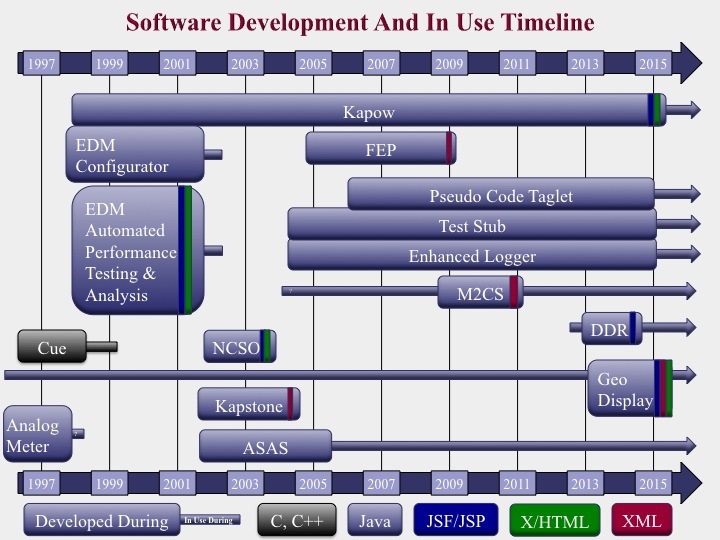 Here we see the software systems I’ve worked on over time. The large box shows when I have contributed to the system. The arrows show when the software has been used and/or actively maintained by others. Also shown are some of the languages I used while working on these. The size of the teams working on these projects varies greatly. 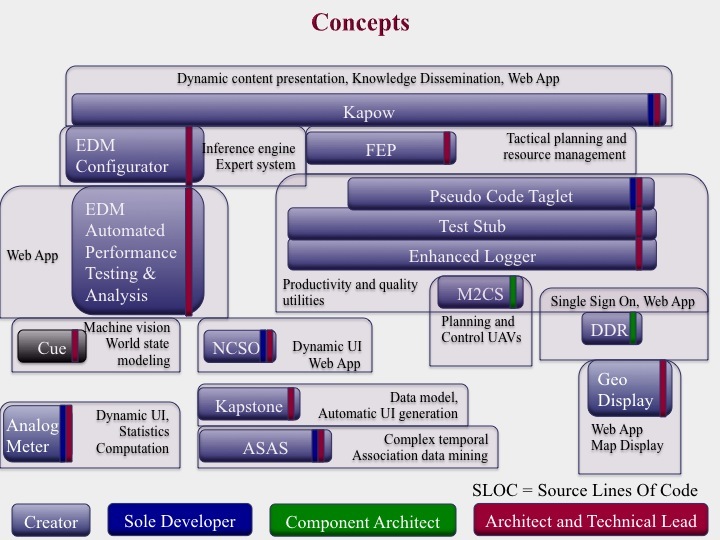 The size of these projects also differ greatly as measured in Source Lines Of Code (SLOC). My main role for each project is also shown. © 2011 - 1975 Keith A. Pray.